Elementary school gone from Academy Square. PROVO -- Memories tag after you, pulling at your heartstrings, when you walk down the hall and past the classrooms where you went to school a long time ago. This reporter took that tour through the BYU elementary school building after this week's announcement by Pres. Ernest L. Wilkinson that the school will close at the end of this school year. 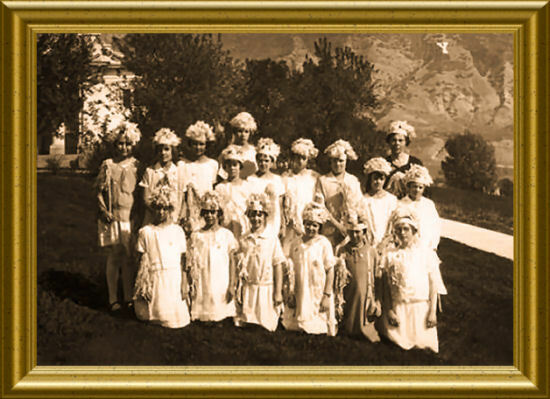 In those long-ago days, the school was the BYU Training School (grades 1 through 6) and the pretty young girls who came to learn to teach were our "training teachers." The third floor of the elementary school building (the Men's Gym) is the grandfather of the George Albert Smith Fieldhouse. The gymnasium is the same now as it was when all the varsity basketball games were played there. I lingered for a while in the room where I was a fourth-grader. Belle Smith was the teacher. When she became Mrs. Spafford, she invited us to dance the Maypole at her wedding reception in the Women's Gym (grandmother of the George Albert Smith Fieldhouse). It was in Belle Smith's class that this writer gained her first by-line when "The First Thanksgiving" was published in the White and Blue (grandfather of today's BYU Daily Universe newspaper). There were other teachers . . . Elizabeth Lindsey, Pearl Snow and Fannie McClean. Miss McClean figured students needed much beyond the three R's. She wasn't above looking in our lunch boxes. School lunch was still in the distant future. If the lunch looked as skinny as the kid, Miss McClean put him or her on the "milk list." This list was financed by the teacher as were many other humanitarian additions to her classroom teaching. If the sixth-graders were slow learning the Gettysburg Address, the late Miss McClean would bring a first- or second-grader up to show the class how it was done. She insisted that students stand when responding to her questions. If you forgot, you were carried down the stairs on a chair . . . on which chair you remained all through recess. On Halloween, we brought home-made pumpkin pies from home for the party for the fifth- and sixth-graders. I considered it most unjust that my mother's pie was put in the book cupboard for the teachers' party which followed. I remember a jubilee celebration when we joined with all the college students and marched down Academy Avenue (father of University Avenue) to the Provo Tabernacle. All the students sang, "Stars of Morning, Shout for Joy", and it was one of life's biggest moments. This week, there are other students and other teachers. 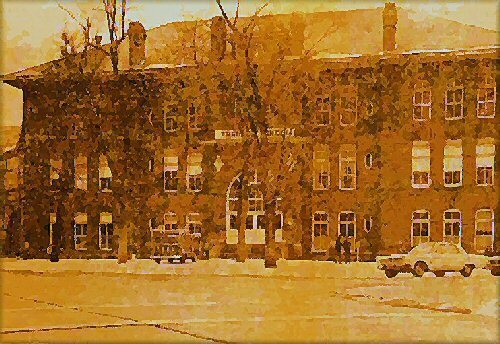 The physical structure of the school hasn't changed but the student body is as loyal as when the school was younger. PROVO -- Dorothy Oakley Rea, 88, a former Deseret News staff writer, columnist and photographer for the Provo area, died October 13, 1999, of causes incident to age. 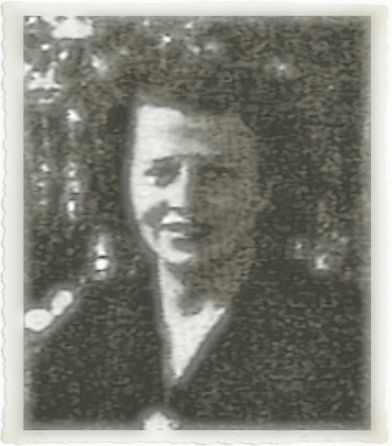 Rea started her career at the Deseret News in 1950 as a correspondent and staff writer, mainly for Provo and Brigham Young University. Her career with the News spanned 25 years. She had served as the Deseret News Christmas news editor for many years and also published a widely read Column, "By Their Fruits," that ran in the Church News section. She also did a Church News series, "Wives of the General Authorities." Mrs. Rea also had articles published in the Improvement Era and the Relief Society Magazine. In 1965, she was the only Utahn honored by the National Federation of Press Women because of her in-depth series on the Utah State Hospital in Provo. Rea was also recognized by the Press Association for her coverage of the Golden Spike Centennial in 1969. When she retired from the Deseret News in 1976, she said her funniest moment was reporting on the Pleasant Grove rodeo queen contest, where the winner ended up being a man, masquerading as a woman. She was a graduate of Provo High and a 1933 graduate of Brigham Young University. She had served as the editor for BYU Alumni Magazine and received numerous awards for her outstanding journalism. She served in various callings in The Church of Jesus Christ of Latter-day Saints. Rea's graveside services were held October 18, 1999, and interment was in the Provo City Cemetery.